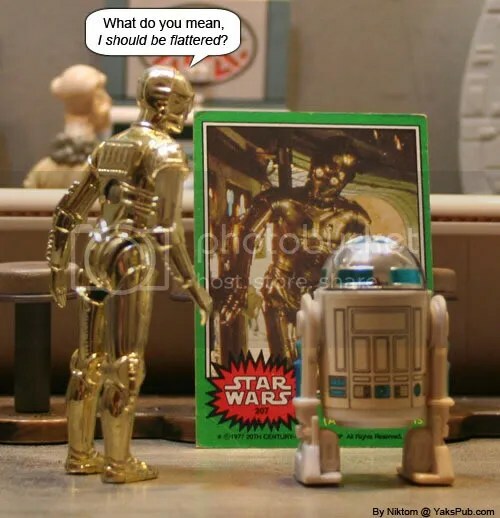 I believe he is referring to the vintage Topps card that depicted 3PO with a “wardrobe malfunction.” However you can interpret it from your point of view as well. Fett dude, you’re going to find that many of the truths we cling to depend greatly on our own point of view. If only those who actually saw that C-3PO card would get it. Heh – strategically placed R2. Very smooth.